Facebook's newly announced dating feature may not be a dating app killer after all. Match Group, the parent company to dating platforms such as Tinder, Match and OKCupid, downplayed the significance of Facebook's upcoming dating feature during its first quarter earnings call on Wednesday morning. "I really don't think people are going to be comfortable mixing their dating lives with Facebook," said CEO Mandy Ginsberg. 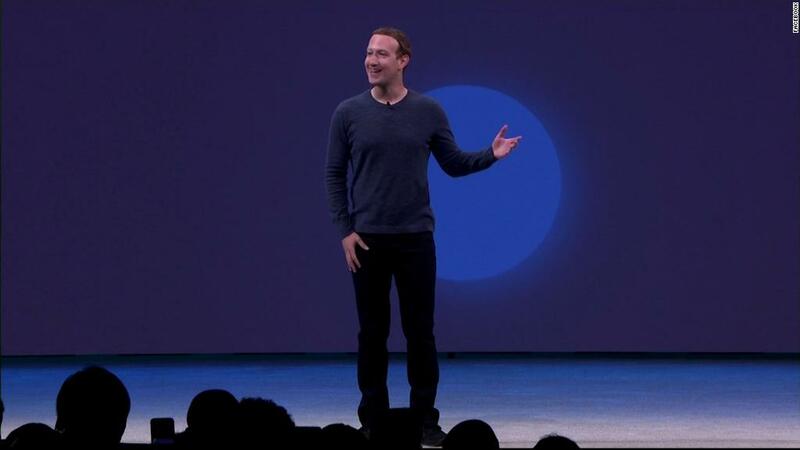 Last week, Facebook CEO Mark Zuckerberg announced plans to roll out a dating feature. Users will be able to set up a dating profile that won't be visible to friends and will not appear in News Feeds. The news came just six weeks after the Cambridge Analytica scandal. Data firm Cambridge Analytica, which had ties to President Donald Trump's campaign, accessed information from as many as 87 million Facebook users without their knowledge -- and Facebook is still very much working to prove its can be trustworthy with user data. Over the years, Facebook has introduced some indirect features people have used in dating, from its Poke Button to Facebook Graph search, which allowed users to search for things such as single men who live in San Francisco. "None of these [features] had any discernible impact on our business," Ginsberg said. Match Group, owned by IAC, has dominated the dating app industry by often buying startups that compete with its own services. Dating apps have historically relied on having users sign-up for its service using Facebook credentials. But some brands are shifting away from that method. Last summer, Tinder introduced a way for users to sign up for its service without Facebook -- a feature now used by 75% of new users, the company said. Match Group said this is an indicator users prefer to keep their dating lives private and off Facebook when given the opportunity. For users who continue to sign up through Facebook, Ginsberg said Tinder only receives age, gender and a photo from a user's Facebook profile. Although Facebook's dating feature will likely compete with Match Group's brands, the two companies have been in some communication about how it will affect their relationship. "We have been in conversations [with Facebook] since the announcement," Ginsberg said. Ginsberg said she doesn't expect the news to greatly impact certain aspects of their relationship, such as advertising for its portfolio of companies on Facebook. The ad spend on Facebook is "relatively small" and something they'll "adapt as needed," she added. Investors initially viewed the Facebook news as a threat to the company -- and it seems there are still concerns. Match Group's stock fell about 20% following the announcement. Match's stock was down 5% on Wednesday after it released its earnings report on Tuesday afternoon. Ginsberg said Tinder is currently testing Tinder Places, a location-based feature that aims to help users find potential matches who enjoy the same places, such as restaurants. Facebook previously said its dating feature will help users find singles attending similar events or in similar groups. Tinder is also testing an opt-in feature that allows women to message matches first. That model is the premise of Bumble's dating app, one of Tinder's chief competitors. Its latest earnings report revealed the company had its best quarterly results since the company's IPO in November 2015. Its growth was driven by Tinder, whose revenue was up 150% compared to last year. Match Group also recently settled a patent infringement lawsuit against Chinese dating service TanTan for its "swipe to like" feature and its double opt-in feature, which connects people who've mutually swiped each other to connect. As a result, Match Group said TanTan will have to redesign its US app and pay royalties based on its monthly active users. Match Group remains in a heated legal battle with Bumble, which it has accused of patent infringement and stealing trade secrets.